GEMS Motor is a leading manufacturer of NEMA size stepper motors, from smallest NEMA 8 to largest NEMA 42. 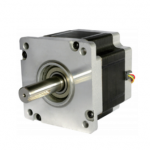 GEMS Motor also supplies various geared stepper motors, closed loop stepper motors and custom linear stepper motors. By leveraging our sophiscated manufacturing facility in China, we provide very cost-effective stepper motor solutions for various applications, such as medical devices, 3d printer, CNC machines, packaging machines etc. 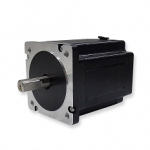 The most widely used motors in motion controls are stepper motors. 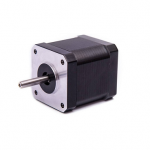 Stepper motors are relatively inexpensive compared to brushless dc motors. They are able to be very accurately controlled for the most precise positioning applications without any feedback devices like encoders or hall sensors. Stepper motors can be classified by different ways of wiring (unipolar or bipolar), various step angles (1.8 degree, 0.9 degree or micro stepping) and the numerous NEMA frame sizes. NEMA frame sizes refer to the motor mounting pattern. It was brought up by National Electrical Manufacturers Association to indicate the physical characteristics of the stepper motor. It has nothing to do with the motor’s electrical characteristics such as horsepower or voltage. 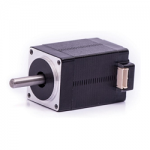 For example, a NEMA 17 stepper motor has a 1.7 inch square flange with 4 mounting holes, one at each corner of the square. 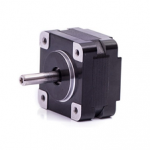 Likewise, a NEMA 23 stepper motor has a 2.3 inch square mounting flange with an individual hole at each corner. 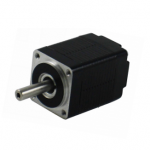 Currently, the most commonly used stepper motors are NEMA 17 NEMA 23 and NEMA 34. 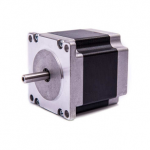 But in some specific applications, NEMA 8 NEMA 11 NEMA 14 and NEMA 42 stepper motors are also used.